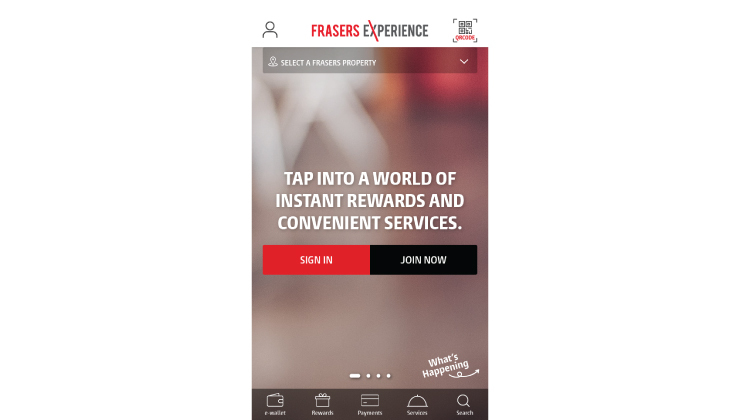 This November, Frasers Property Singapore is bringing you an exciting new app, Frasers Experience (FRx). It’s a seamless, easy to use, all-in-one app where you can get more out of our wide-ranging offerings across Frasers Property. Read on to find out what’s in store for you! With the new FRx app, you can continue earning points and redeeming instant rewards, along with new benefits. 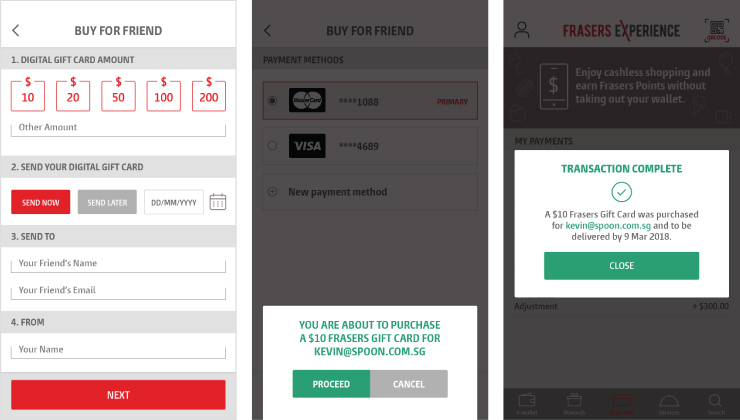 The all-new FRx app is filled with great new features that make shopping and redeeming rewards a breeze. On top of earning instant rewards as you shop, you can now also tap into a world of Digital Gift Cards, an F&B pre-ordering service and more at your fingertips! The best part? You can enjoy these right in time for Christmas. 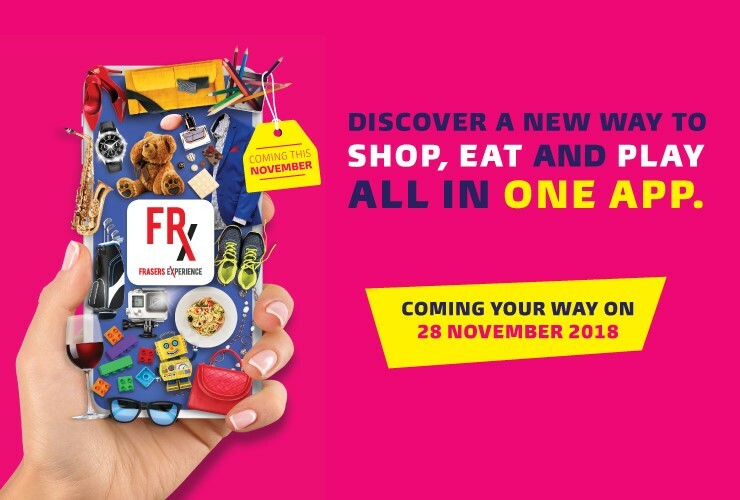 If you’re an existing Frasers Rewards member, simply download the FRx app on 28 November, sign up with the same email address, and continue to enjoy your existing Frasers Points (The old Frasers Rewards app will be discontinued from 27 November 2018, 11.59pm). If you’re not a member yet, what are you waiting for? Instant shopping rewards and convenient services await you! Great news, there are now more ways to be rewarded when you shop and dine at locations of Frasers Property! In addition to Digital Gift Card redemption, you can now also redeem retailer eVouchers. As with the former Frasers Rewards app, simply earn instant points by shopping and scanning your member QR code at participating FRx stores. Accumulate Frasers Points, redeem them for Digital Gift Cards or eVouchers and treat yourself the next time you shop. Been eyeing that sleek tumbler from your favourite sports store, or craving for your go-to dessert? Now you can browse retailer eVouchers, exclusive to FRx members, and see what's available on our all-new Catalogue. Simply redeem eVouchers with your Frasers Points to enjoy special deals from your favourite retailers! Tap on ‘Catalogue’ under the ‘Rewards’ in your bottom menu. Browse what you can redeem with your Frasers Points, from Digital Gift Cards to retailer eVouchers. Give the gift of choice seamlessly. Enjoying the convenience of our Digital Gift Cards? We too love how simple and seamless it is to offset payments with Digital Gift Cards. And we’ve made it even easier for you. 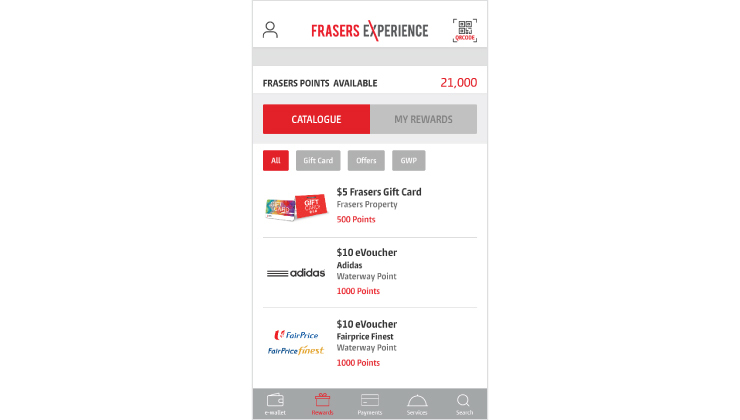 Other than redeeming a Digital Gift Card with your Frasers Points, you can now also purchase one in your FRx app. After purchasing a Digital Gift Card for yourself, it will be instantly added to the e-wallet in your FRx app. Once you have bought a Digital Gift Card for a friend, your recipient can start using the card instantly. Buy a Digital Gift Card for yourself or send it to someone special the moment you’re thinking of them. 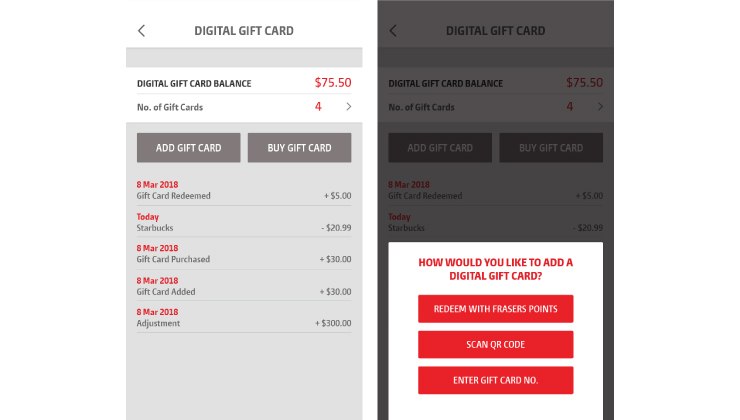 With your FRx app, buying a Digital Gift Card will only take a few minutes – plus, you can send it anytime, anywhere. So, if you’ve exhausted all ideas on what to get for Christmas this year, or you can’t grab a gift in time for a special occasion, you know what to do. Don’t worry, your secret will be safe with us. Ensure that your Digital Gift Card is added to your e-wallet, so you can start using your phone to offset payments in-store. 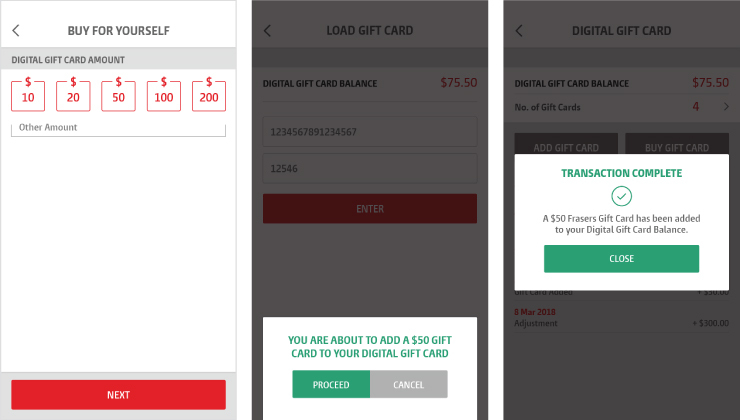 If you’re the happy recipient of a Digital Gift Card or if you bought one at our Customer Service counters, add the Digital Gift Card in your FRx app’s e-wallet. Simply enter in the Gift Card number or scan the card’s QR code in your FRx app. After this simple step, you can start using your Digital Gift Card to offset payments with just your phone – no more worrying about misplacing your card or leaving it at home. Cheers to easy shopping! Meet your go-to guy whenever it's makan time. Love your favourite food but hate the queues? We know how that feels. 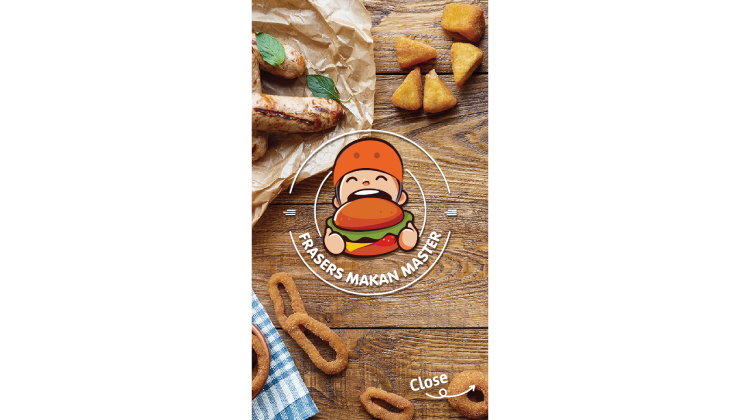 But good news, Makan Master is here to save you from your makan woes! You can now book a table with Makan Master, and look forward to more food services coming your way in 2019. Now, you can plan birthdays, anniversaries or gatherings easily by reserving a table at different restaurants* with Makan Master. 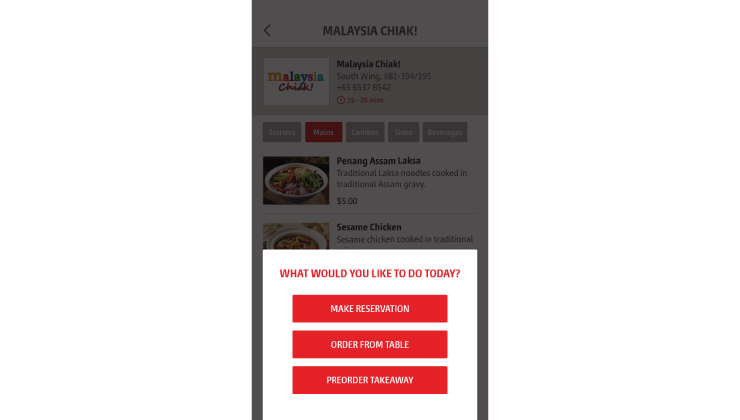 Soon, you will also be able to pre-order takeaways or order from the table so you can enjoy makan time more conveniently. *Available at selected outlets in 14 locations of Frasers Property. Keep track of various happenings at our malls and register for events in the FRx app. Get up to date on the latest workshops, events and festivities all year-round. With Christmas right around the corner, you wouldn’t want to miss out on the yuletide cheer. So, keep a lookout for our events and register your attendance with the FRx app to join in the fun. 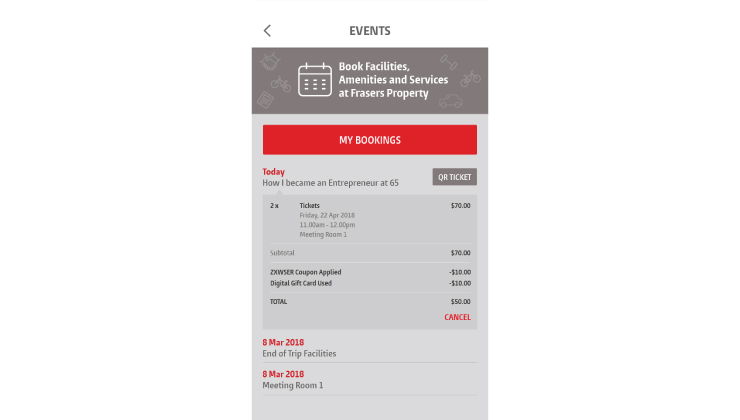 All the events you’ve signed up for will be listed in “My Bookings”, so you can easily check what you’re attending and won’t end up in the sticky situation of double-booking! That’s not all! More exciting features in the FRx app are also coming your way in 2019. You can soon book amenities and end-of-trip facilities with your FRx app. Plus, look forward to FrasersPay, a convenient cashless payment system, launching next year too. So, download the FRx app! Because all your lifestyle needs should be seamlessly available at your fingertips.